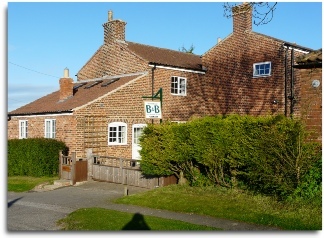 Welcome to West House B & B, Binbrook, situated in the centre of the Lincolnshire Wolds, close to Market Rasen in an area of Outstanding Natural Beauty. This is ideal, rolling countryside for walking, cycling, golf, tennis, horse riding & other sports. We are 13 miles from the sandy beaches of Cleethorpes and conveniently located for day trips to Lincoln, Louth and Market Rasen. 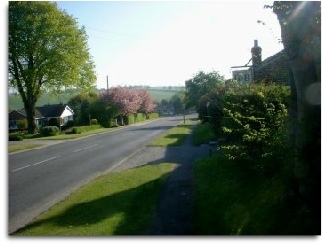 There are also several pubs serving good food and real ales within 5 miles of the village. 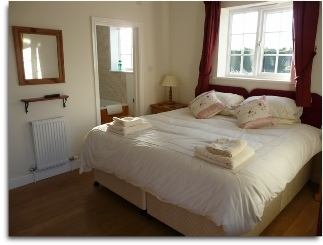 West House B & B is positioned on the edge of the village of Binbrook with views across the Lincolnshire Wolds. We have plenty of footpaths & bridle paths from the village for circular walks of various length. Binbrook is a rural village with a pub, post office, Chinese takeaway, shops, doctors surgery, Church, bowling club and village hall with lots of events. If you are planning to visit Lincolnshire for a long weekend, or for a holiday, give us a call. West House B & B is located close to a number of attractions in the county, including Cadwell Park Racing Circuit, Market Rasen Horse Racing Course, The RAF Battle of Britain Memorial Flight and Lincolnshire Steam Railway. There are seal and nature reserves at Donna Nook, Theddlethorpe and Gibraltar Point, beaches at Skegness, Sutton-on-Sea and Cleethorpes, as well as amusement parks at Fantasy Island and Skegness. If you enjoy visiting local towns and cities then Market Rasen, Louth, Cleethorpes and Grimsby are within 13 miles of us, with Historic Lincoln, its 1200 year old cathedral and castle only 23 miles away. If you are interested in sporting activities, then within easy driving distance, we have Tennis, Golf, Horse riding, Swimming, Bowls and three golf courses. Lincolnshire is also famous for its walking and cycling routes including the Viking Way and Bakewell Walk for ramblers. With a network of quiet country lanes, cycle paths and sections of the National Cycle Network it couldn’t be easier to explore the county on two wheels.